Happy Valentine’s Day! Let’s eat some pie. So, like with most holidays, I have a last minute Valentine’s treat for you! These little pies are super easy. And because they’re small, you won’t have to spend any time waiting around for things to cool or chill or set up. 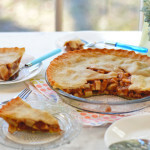 You make the filling, let it chill out in the fridge while you cut out the heart pie crusts, but then it’s ready to go! Once the pies have come out of the oven, they cool off quickly and you can lather them up with some chocolate glaze. Don’t forget super cute heart sprinkles. 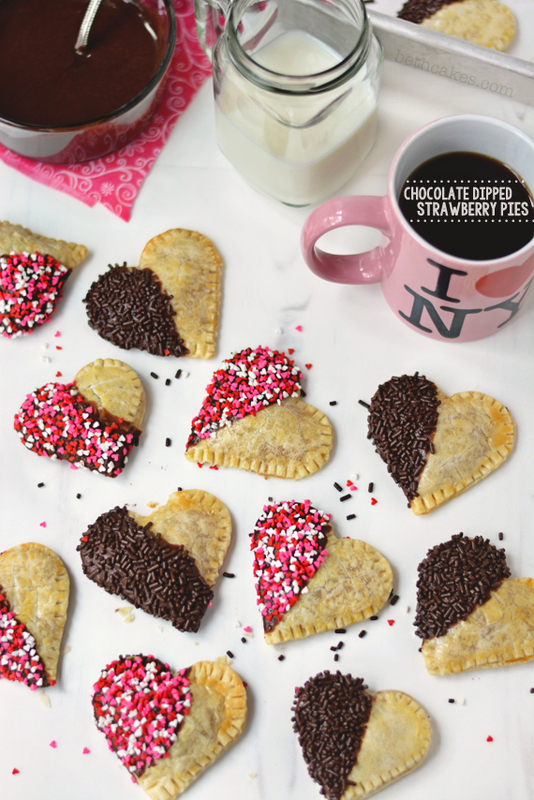 The inspiration for these little pies came from a magazine that was just laying around the house. And the evening I made these, there were rumors that work was going to open at noon the next day because of all this crazy Southern snow that we’ve been having. So I knew I needed to take advantage of the morning light and snaps some photos. Usually, I only have time to do that on the weekends. Productivity! Time management! My resolutions are actually happening this year, y’all. Sort of. I have to say, I think these pies are really stinkin’ cute. I’m in love with those tiny heart sprinkles and I love how they look on these. With the buttery, flaky, and slightly salty flavor of the pie crust, and the sweet strawberry filling, these pies have got it going on. The sprinkles add a nice crunch on top of that, so everyone’s happy! 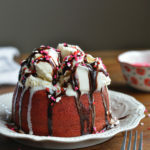 Whether you like Valentine’s Day or not, whether you’re single or in a relationship, whether you’re in a family with kids or a family without, we all tend to celebrate Valentine’s Day with food. Right? You go out to a nice dinner at a swanky restaurant, or your boothang makes you a nice meal at home, or you go out for the chocolatiest dessert you can find. The last day I worked at Gigi’s Cupcakes last year was the day before Valentine’s Day and it was insanity. Cupcake orders out the wazoo. We had people from corporate come down just so they could stay at the shop overnight and bake all the cupcakes for the orders that needed to be filled. In. Sanity. My point is, don’t be bummed out if you aren’t in a relationship. At least you aren’t spending the night in a bakery preparing gifts for other couples to enjoy without you. I’m sorry that’s not really actual advice. I obviously don’t have much dating experience. But I do know that pie is good and it makes people happy. Let the pie crusts thaw to room temperature while you prepare the strawberry filling. 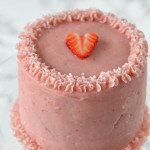 To make the strawberry filling, process 1 cup of (thawed) frozen strawberries in a food processor until smooth. Press puree through a sieve and discard solids. In a small saucepan over medium-low heat, add the strawberry puree and 1 tbsp of cornstarch, stirring to combine. Cook strawberry mixture, stirring frequently, until it thickens and is the consistency of jelly; about 4-5 minutes. Place strawberry filling in the refrigerator to cool. At this point, preheat your oven to 350 degrees and line a baking sheet with parchment paper. Unfold the pie crusts on a lightly floured surface and use the cookie cutter to cut out the hearts. Gather the pie crust scraps, roll them into a ball, and then roll the dough out. Continue to cut out hearts. (I was able to get 32 total, which makes 16 pies). Divide the pie crust hearts in half, the top half and the bottom half. Add about a tablespoon of strawberry filling (or more if you want) onto half of pie crusts, and spread it out with a knife if necessary. Then, using a pastry brush or even your finger, brush the egg wash around the inside edge of the crusts. Next, lay the remaining pie crusts over the first half. Use a fork to press the edges down. Then brush the tops of the pies with the egg wash, make sure to get the edges. Arrange the pies on the prepared baking sheet and bake for 15 minutes, or until tops are a light golden brown. Let pies cool on a wire rack before dipping in the glaze. Combine powdered sugar, coco powder, and 4 tbsp of milk in a bowl and whisk until completely smooth. If the glaze is too thick, add another tablespoon of milk. Start with one pie, dip it into the glaze, let the excess drip off, and lay it on the baking sheet. 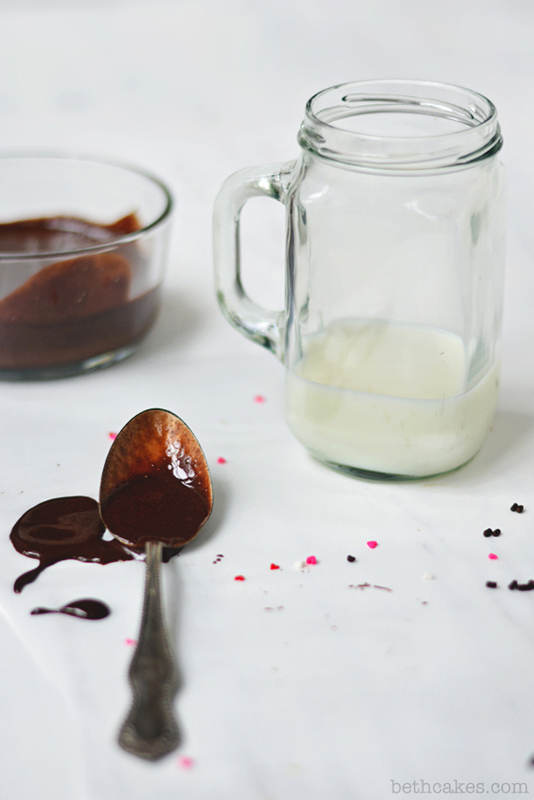 Gently sprinkle the chocolate glaze with sprinkles. (If they slide off, then wait a minute or two for the glaze to set up and then try again.) Repeat with the rest of the pies. 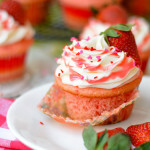 *This strawberry filling can be replaced with store-bought strawberry jam. Is pie acceptable for lunch? Asking for a friend. Happy valentine’s day! 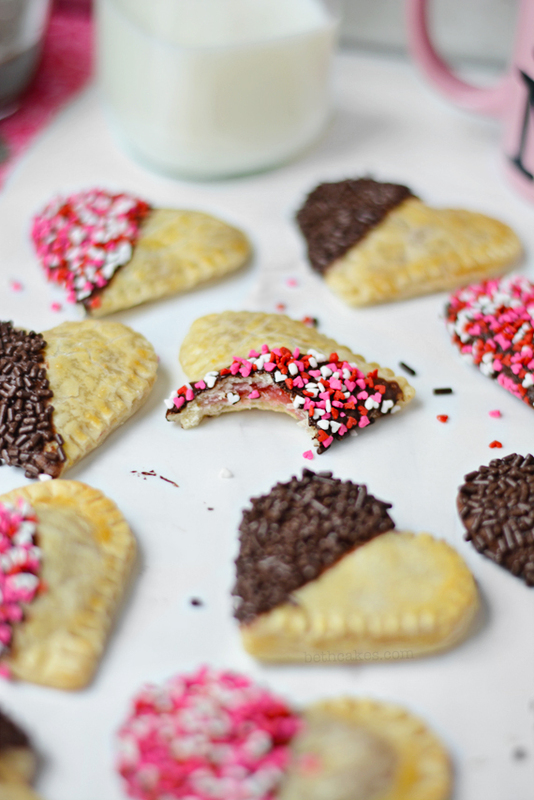 These pies are adorable! I love the way the sprinkles look on them! Thanks, Ashley! Happy Valentine’s Day to you too! I LOVE these mini pies Beth! They are seriously so cute! And although putting the reese’s cups made them less pretty, I bet they tasted awesome! 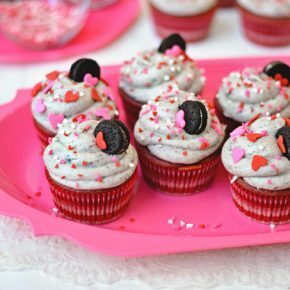 This post is really cute too, I loved reading it 🙂 I hope you have a great Valentine’s day and glad you don’t have to be up all night making cupcakes this year! Thanks so much, Chelsea! The Reese’s ones were amazing. I’m glad I ate them all. 🙂 Glad you enjoyed the post and I hope you had a wonderful Valentine’s Day! Gorgeous, and so simple! Let’s be real, Valentine’s Day is about desserts, not dating. I mean… I’m not the only one who thinks that… right? Right. 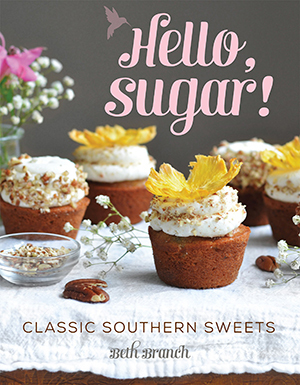 These are too beautiful and delicious to be so easy! So. Stinking. Cute. Proof everything is better with crust, even sprinkles. Happy Valentine’s Day! Thanks so much, Jess! Hope you had a wonderful Valentine’s Day! These are just too cute to eat!! 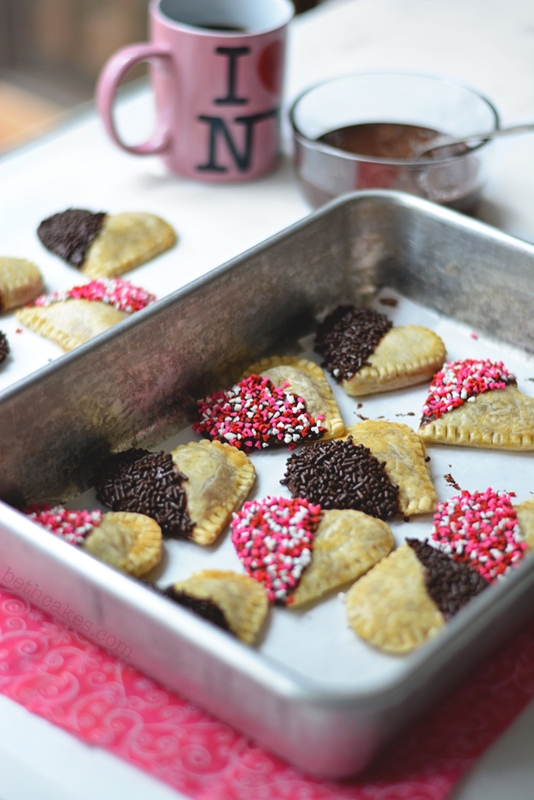 I love that you not only dipped them in chocolate but added sprinkles!! Happy Valentines’s Day!! You are definitely right about that! Thanks, Ashley! 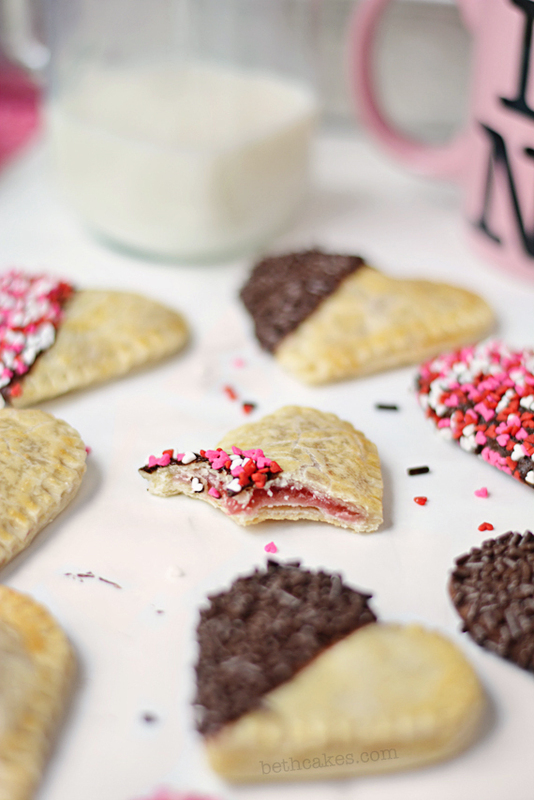 How good do these strawberry pies look, they almost remind me of pop-tarts brought up by 50 notches. Cute, cute, cute – and so are those little pies. Happy Valentine’s Day! 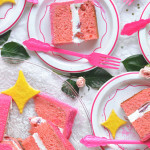 These are so cute- I think the sprinkles are my favorite part! Great Valentine’s Day treat! Beautiful photos! These are so adorable. Your pictures turned out beautifully – using that glowy morning light makes such a big difference – I am always in the kitchen if I happen to have a day off from work for that very same reason :). Hope you had a lovely V-Day!! These are so beautiful Beth! 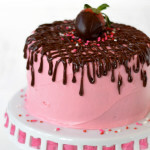 Love the chocolate dipped and strawberry themed and that you used them for pies! These are absolutely adorable!! I still have not gotten around to making hand pies, but they’re on my list! Lovely! Ah, yes, the things we do with extra daylight when we have a chance. It’s always the first thing I think about when I have unexpected time off during the day. And, guh, strawberries and chocolate, and crust, get in my belly!